The characters you meet in Playerless: One Button Adventure have developed self-awareness and brought chaos to the game. It’s up to you to help the Debug Unit with fixing it. During this quest, you will interact with very independent NPCs, solve logical puzzles and discover mysteries of the in-game meta-level… all with just one button! That’s not an easy task, since the malfunctioning interface requires an unconventional approach towards communicating with the program. 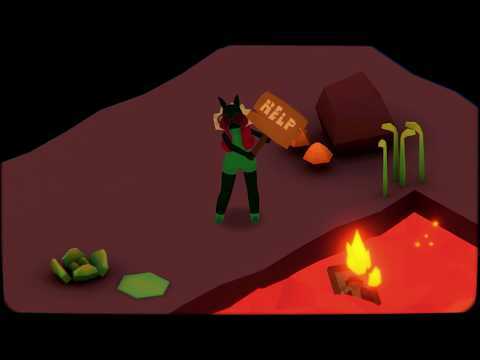 Tapping or holding the only button isn’t only the core mechanics of the game, but also the only way to walk around, talk to the NPCs and solve puzzles. The upcoming Playerless: One Button Adventure PC, PS4, Switch and Xbox One release date is Q2 2019 in the US and the UK. Notify me when Playerless: One Button Adventure is available.